Kids and adults love hats! Hundreds of Sugar Plum Fairy tiaras, candy canes, and Nutcracker swords! Island Paradise Balloon Art offers unique balloon twisting entertainment for parties, events, and restaurants. Balloon creations that you won't see other twisters make! Visit our website to see some of our designs, reviews, and event photos. We also offers Pirate Parties with real parrots! If you're looking for magic, we've got you covered on that, too. We've been entertaining in the Charleston area for 10 years. Appearances include Piccolo Spoleto, Family Circle Tennis Tournament, Mt. Pleasant Children's Festival, Charleston Museum, Daniel Island Park Day, SC Aquarium, Children's Museum of the Lowcountry, Blessing of the Fleet, & North Charleston Arts Festival, to name just a few. There's a reason you see this company at all of the big events in the area. They are the best. I've never dealt with such a professional company when hiring entertainment for a party. Not only was the balloon artist incredible, but the entire booking process was flawless. I even got a confirmation call before the party and a follow-up email to make sure I was happy with their services. Class act. A big thank you to Island Paradise for the wonderfully creative entertainment for my daughter's birthday. It's always been a challenge to find something that "wows" her, but this certainly did. Highly recommend. The balloon twister was the highlight of our party for the kids and adults. We had a huge family reunion and wanted something to entertain the kids, but I think the adults enjoyed it as much as the kids. Nothing like seeing everyone all the way up to great grandparents sporting festive balloon hats. Thanks for the very special memories! We actually didn't book a balloon twister with this company. We booked a private Charleston pirate and ghost tour to celebrate my husband's birthday. Absolutely incredible experience! Eric, our guide, was in period pirate costume. This guy is a walking encyclopedia of Charleston history! And what a great personality! He's got to be the best tour guide in town. This was a surprise for my husband, so you can imagine his face, when a fully armed pirate showed up at our table after dinner in a downtown restaurant with friends. Priceless! They were willing to customize start and end places for the tour, so that allowed me to really keep the secret. The balloon twister absolutely made the party. She was a huge hit the kids and grownups! I was so impressed that I've hired them to provide three balloon twisters for a family picnic for my company. Great to work with and very helpful. When I asked if they also did face painting, Sabrina, the owner, told me no... but she gave me names and numbers for face painters that she recommends. Excellent customer service! Eric is amazing! This is not a guy wearing a party shop costume. He's the real deal. My husband is one of the stitch-counting historical reenactors, and even he was in awe of Eric's pirate outfit. 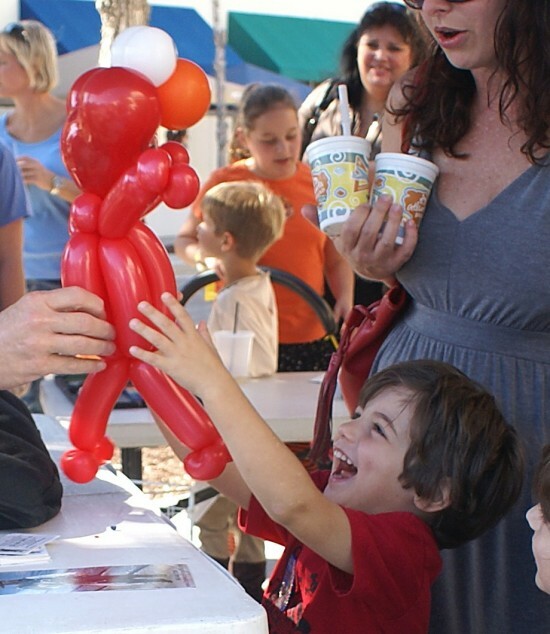 Eric is a very talented storyteller AND makes incredible balloon characters. Oh, and the treasure hunt... That was so special. His wife even made a treasure map based on our yard that was printed on canvas! My son has that map on his wall now. The real parrot was a great added touch. Used this company for a corporate event and couldn't be happier! Talented and professional. Will definitely use them for our next event. We've used this company for 3 parties, and they just seem to get better every year! Our daughter's birthday wouldn't be the same without them. They've turned into her annual birthday tradition! Wonderful with kids! Fantastic balloon creation! Flexible about last minute changes. We've already booked them for another party. I don't think that there's anything these people can't make out of balloons. Motorcycles, cars, aliens in spaceships... amazing! My son said it was the best birthday party he ever had at the ripe, old age of 6. Also, very professional on the business end. From the first time that I called for information to the end of the party, everyone with this company was a delight to work with. Love this company. Just used them for the third year in row. Always a very talented balloon twister. And they get better every year! The balloon artist did a great job at my son's birthday party. She made all kinds of things for the kids, and they loved her! This company gets my highest recommendation. Very entertaining! Eric was even able to make my son's favorite character from the Cars movie. They made booking super easy, so I didn't have to worry about a thing on the day of the party. Huge relief because I had actually already hired someone else, who cancelled at the last minute. So grateful this company proved professional and reliable. We used this company for a large community event and couldn't be more thrilled. We needed 3 balloon people, and Island Paradise was able to do that! All thee were fantastic and a huge hit. We've already booked them for another event later this year. In addition to having very talented people, they were also able to supply a certificate of insurance with us as additional insured. Pirate Party with a REAL parrot! Eric is incredible! He looks like he just walked off the set of a pirate movie! Sword, pistols, irons... And, of course, Bob, the parrot. He made all of the kids swords and sword belts out of balloons and made balloon parrots for everyone. Some of the kids wanted other stuff, and he was happy to make that, too. He also does a treasure hunt. He puts the goodie bags in the chest and hides it before the party. He even had a map of our backyard made and printed on canvas paper to use as treasure map. AWESOME! Who says balloons are just for kids! We hired one for my husband's 40th birthday, and it was a huge hit. Not only did the twister keep the adults entertained with wild balloon hats and amazing sculptures, he also made a lot of fun things for our guests to take home to their kids. Best bang for your birthday buck! The balloon artist was amazing... Truly an artist. Fabulous with the kids, too. Of course making the kids happy was the most important thing, but it was nice to discover how professional and business-like they are, too. Island Paradise did an event for our company, and we were thrilled with their work. The children loved the wonderfully balloons. Little Mermaid, Elmo, and the alien with ray gun were the biggest hits. The adults got a big kick out of the balloons, too. After seeing some of the incredible stuff, a couple of them decided to play stump the balloon guy. It was hysterical... No matter what they threw at him, he made it, in some cases making it up on the fly. We're already planning to have them at our event next year. We first saw Island Paradise at the North Charleston Arts Festival. It was all my son talked about for days, so I tracked them down for his birthday party. From the first phone call to the party, you couldn't ask for a more professional and courteous experience. They made it simple to book and pay. The balloon twister, who came to the party was amazing. 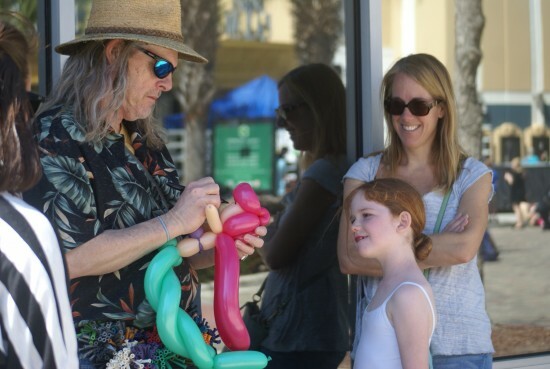 Not only could he make anything and everything out of balloons, he was fabulous with the kids. They even followed up with me the week after the party to make sure that I was happy. Great company! My daughter had seen balloon twisters from this company at several events, and begged to have them at her party. Best money I ever spent! We had A LOT of kids... About 50, so I booked 2 twisters. That's another great thing about this company... They have several people on staff. Both twisters were amazing! No matter what the kids asked for, the twisters could make it. And some of the kids asked for some crazy things! With 50 kids, goodie bags would have broken the bank, but with the balloons that the kids got to take home, I didn't have to worry about goodie bags, so I saved a ton of money. The kids loved it. They said the balloons were way better than the stuff they usually got in goodie bags. We had several activities for my daughter's birthday party, but the balloons were the definitely the favorite! This is the second time that we've used Island Paradise Balloon Art, and both times, it was great. We had a different balloon person at each party, and both were fabulous. Also, very easy to work with as far as setting up the event. There's a reason you see twisters with this company all over the place... they are amazing! We used them for a party, and the twister made the most incredible things... a mermaid, a dolphin, and the birthday boy got a motorcycle! Also very professional from first call. They actually send an invoice, confirm everything, and they take credit cards. I even got a follow-up email after the party. For our balloon twisting appearances, you can expect to see our twisters use balloons to create things you would never imagine... and keep you entertained while they are doing it! 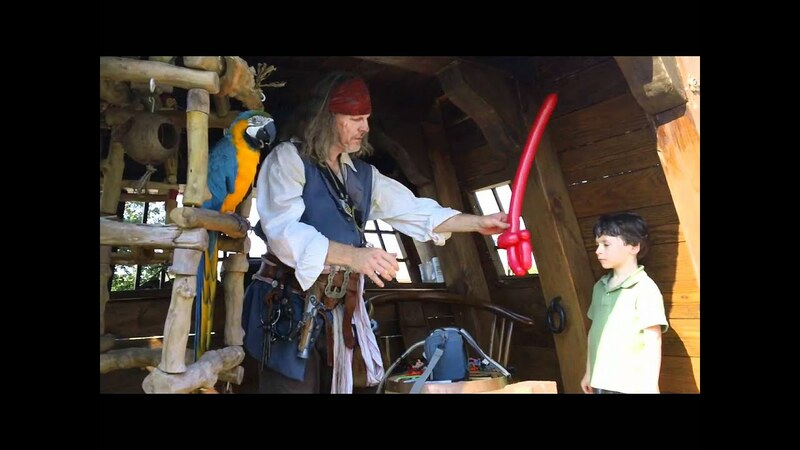 For pirate appearances, you can expect master storytelling and guest interaction that always leaves the audience wanting more. Our treasure hunts are also a big hit at parties and events. Island Paradise has been entertaining across the southeast for more than 14 years! 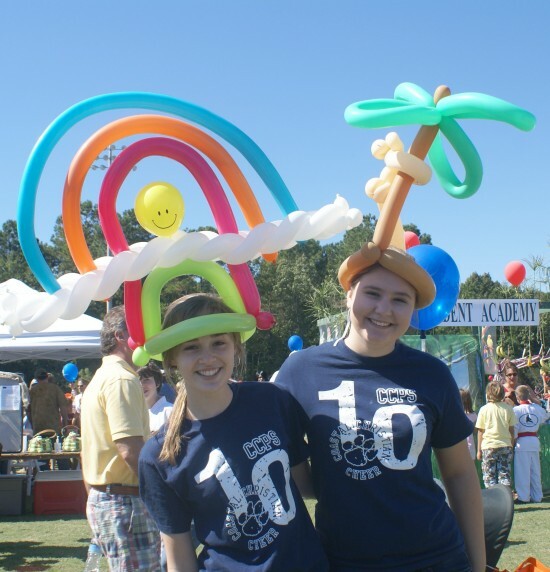 We're the balloon twisters you see at all of the big events produced by the City of Charleston, North Charleston, Mt. Pleasant, and Isle of Palms. We also offer magic, face-painting, and pirate parties. Our entertainers make over 1,200 appearances a year! Corporate clients include Boeing, Bosch, and the Medical University of South Carolina. Past events include Piccolo Spoleto, North Charleston Arts Festival, Blessing of the Fleet, and Mt. Pleasant Children's Festival. Island Paradise takes entertaining seriously. We have two business licenses, and we carry business liability insurance for your peace of mind. Our sister company, Charleston Pirate Tours, offers event entertainment, too. 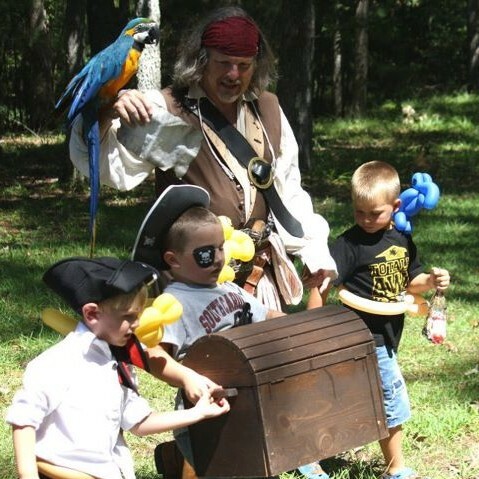 Pirate parties can include storytelling, balloon twisting, and treasure hunts. Whether on tour or at your event, our pirates dress in authentic, period apparel, not something off the rack from Walmart. We even bring our parrots!